I Won the Lottery! What Next? Everyone imagines that magical moment of being able to say “I won, I won.” We all consider fast and gorgeous cars, exotic holidays and stunning houses sitting on the coast of somewhere sunny and warm. But the reality is if you don’t approach this practice, even with a big win you could end up with zipping! Understanding Investing and I Won! Getting good advice is important. Whether you are receiving an annuity over 30 years or a lump sum, investment planning is essential. It is so easy to rush out and buy something without thinking about the consequences. I mean, you just won a jackpot. Wow! Happy days are here! But you don’t want to end up two years down the road wondering where the money went. This is a fantastic opportunity to take control of your future. Getting professional advice includes asking tax experts not only on the ramifications of the money you will be receiving either annually or in a lump sum. It also means looking at options on how you can use it to the best advantage. 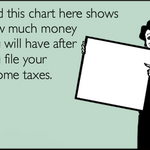 You might want to do something for younger family members so why not set up a tax-free education trust. Look at the investment retiring savings plan that is blue chip. They might not earn huge interest, but you’ve got the opportunity to plan long term instead of short term. The first thing to do is clean up any debts that involve accruing interest. At the same time, make sure you read the small print of the debtor. Sometimes, it is in your best interest to delay paying off the debt until it is due, as there can be penalties. Alternatively, credit cards are important to pay off as soon as possible as their interest rate is excessive. Your jackpot might look like a lot, but by the time you start spending it, it is incredible how quickly it can become small change. As much as you want to shout out loud that you’ve won the jackpot, you need time to think about what you are going to do. Using an online lottery provider gives you that confidentiality. When (note I did not say if) you win that big jackpot, you have the time to collect your winnings and quietly make your plans. It’s amazing how much trouble winning has caused to family and friends. Don’t get overly generous and enjoy your money. It’s a challenging balance to be real about what you’ve won, how you are getting it and what you are going to do with it. You want to be generous, and a lot of people are going to ask for help. This starts with your family and friends, and branches out to charitable organizations and other opportunities. Stop! Get professional advice. 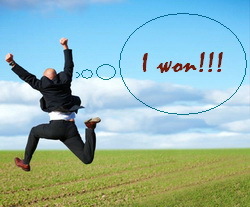 So you’ve won once! That doesn’t mean that you should use a large part of your winnings to try and do it again. Play – definitely! You’ve had fun and got lucky. What the heck! But, that doesn’t mean bucking the odds and putting down more and more to try and do it again. It’s tempting! But don’t do it. Put yourself on an allowance to make sure you don’t get carried away. 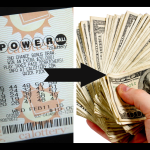 That’s the fact and the reality of why we play lotteries. We all dream it can be me! It is a fantastic combination of challenging odds, and you’ve won. Jump up and down and rave at the sky. But before you share that with your friends and family make sure you have a game plan. Make sure you use or access to playing online lotteries through a service you trust. Seriously, folks, this is so important. There is a heap of people out there that play you as much as you play games. Being confident with the people that you play through including sharing your credit card details plus your details is so important. Do your research! Use sites like LottoExposed.com to be confident and get them to do your research. They are the professionals! Don’t mess around with this one as people could seriously mess not only with your money but you – and your identity.